Zurich won awards for Best Life Assurance Company and Best Innovation in Financial Services at the prestigious Longboat Analytics Financial Services Awards. 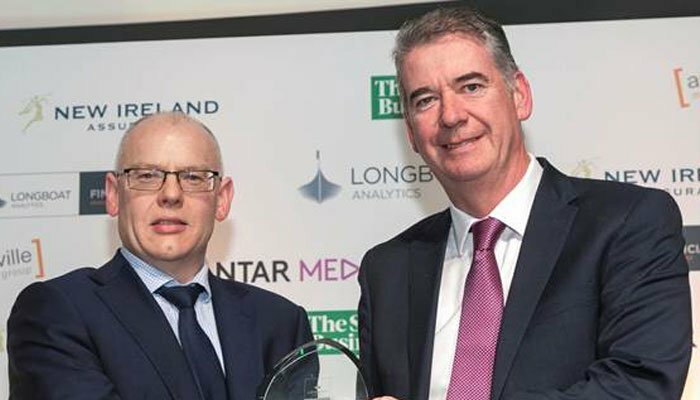 Against tough competition, Zurich won two awards recently at the Longboat Analytics Financial Services Awards. At a gala lunch held in the Mansion House, Dublin, Zurich won the awards for Best Life Assurance Company and Best Innovation in Financial Services. These prestigious awards, previously the 'MoneyMate' awards, recognise and reward companies that have excelled in the investment, life and pensions industries and honour organisations that consistently provide outstanding products and services. The Best Life Assurance Company award was the only category which was voted on by Brokers. Jonathan Daly, Head of Retail Distribution and Propositions, collected the award on behalf of Zurich, and thanked Brokers for their votes and emphasised Zurich's ongoing commitment to providing Brokers with great products underpinned by excellent performance. The Best Innovation in Financial Services was awarded to Zurich for the Personalised GuidePath Investment Strategy. The award recognised companies that have demonstrated innovation which meets an identified business, market, or other economic need. Joe Creegan, Head of Corporate Life & Pensions (CLP), who collected the award on Zurich's behalf spoke about the 18 month project to get GuidePath to market and he paid tribute to the dedication of all the Zurich people involved in the project launch.